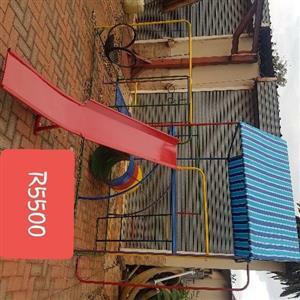 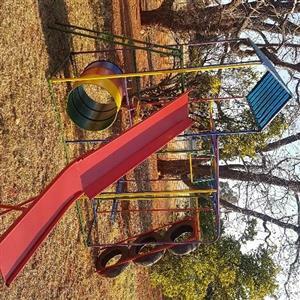 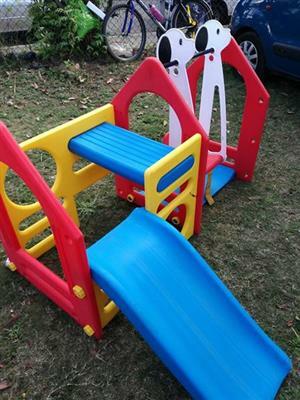 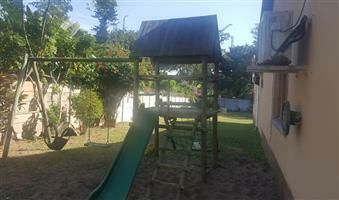 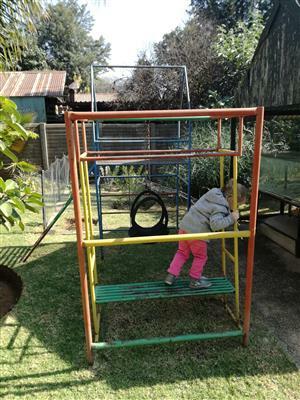 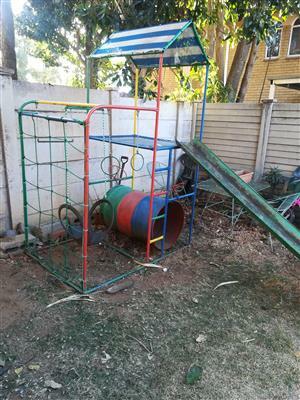 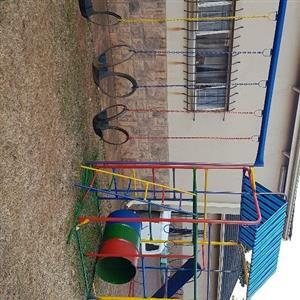 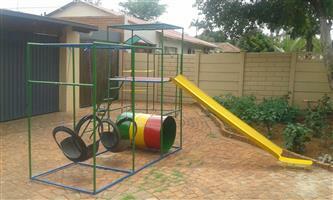 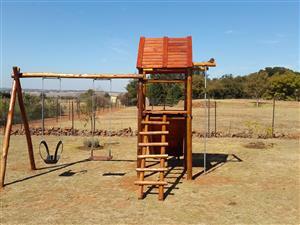 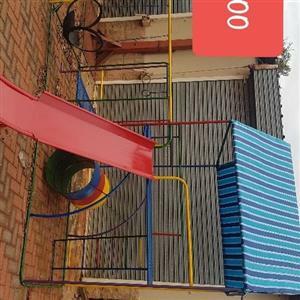 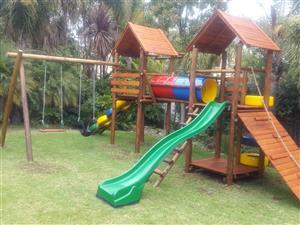 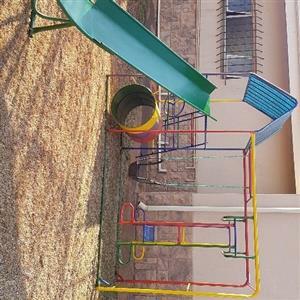 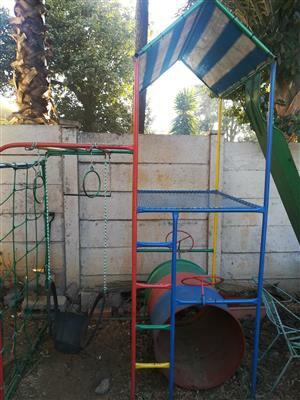 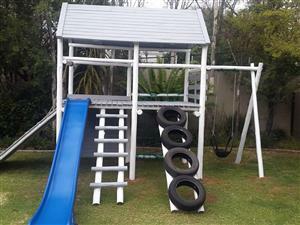 Steel jungle gym with slide,monkey bars,drums, laddy. 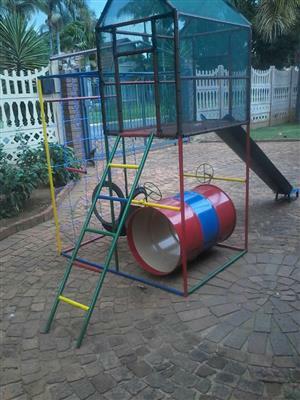 Big Jungle gym for sale. 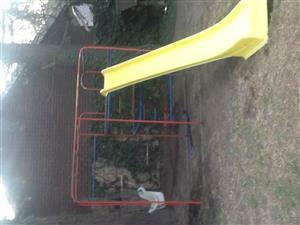 Brand new from top to bottom.